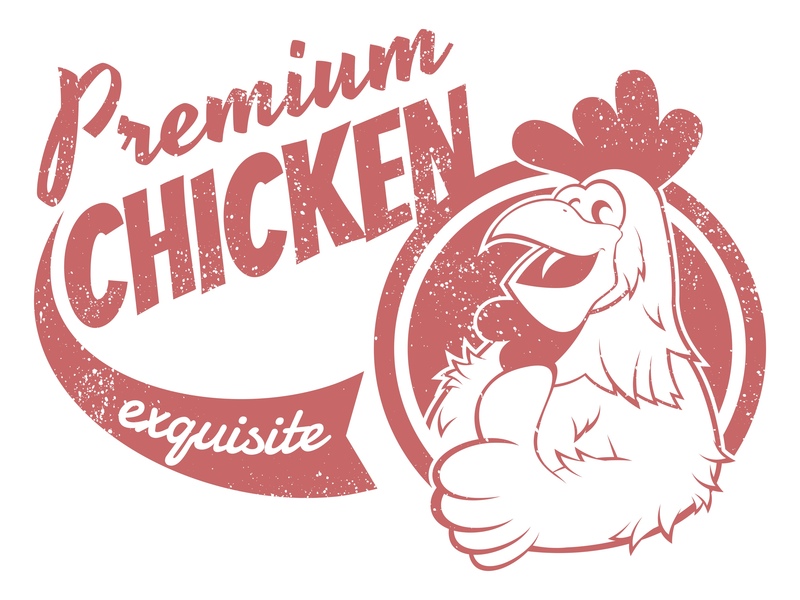 This year we had two clients making an exhibition of themselves on stands designed by us, and dishing out marketing collateral bearing all the hallmarks of our creativity ! 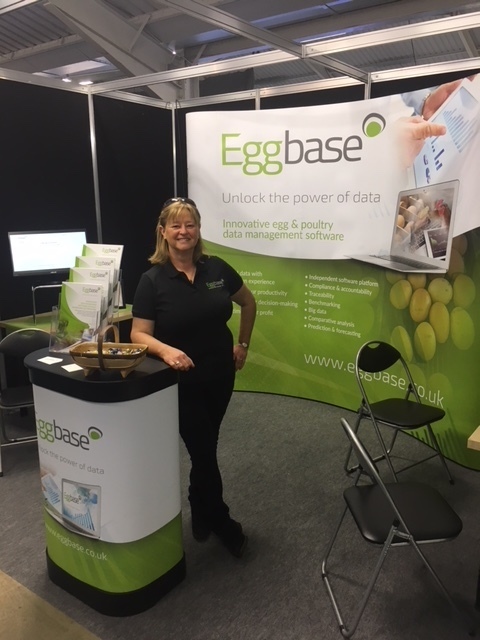 Eggbase were premiering their new logo on a new pop up stand system, whilst one hall down, Hendrix Genetics were showing off their impressively proportioned stand which had undergone a full make over. 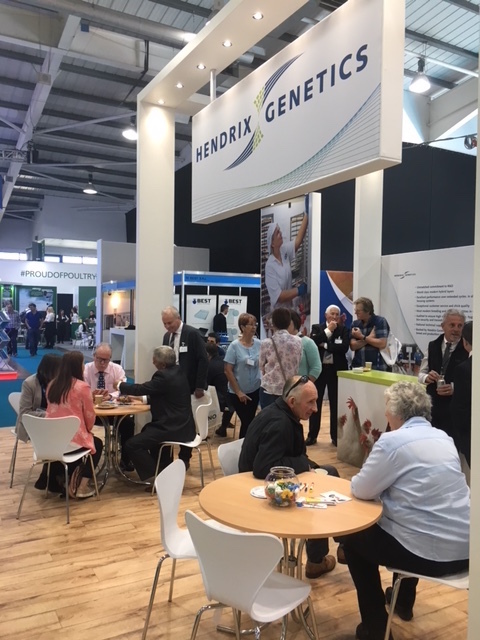 The Hendrix Genetics stand – open for business! 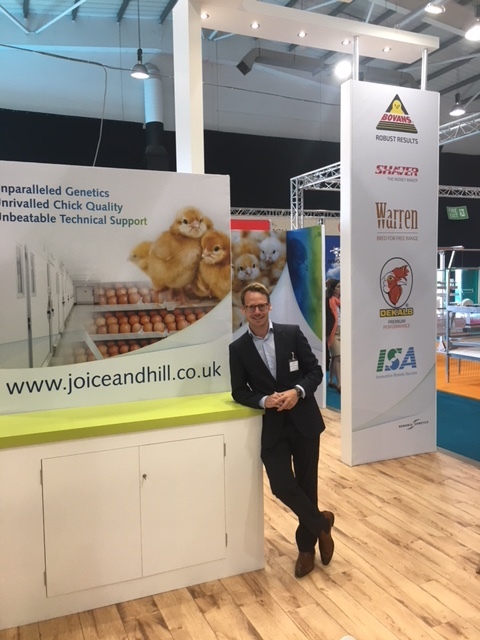 It made for a busy morning for Neil as he desperately ran between the two stands hoping to pick up a compliment!